No two metals perform, feel, wear or look exactly the same. 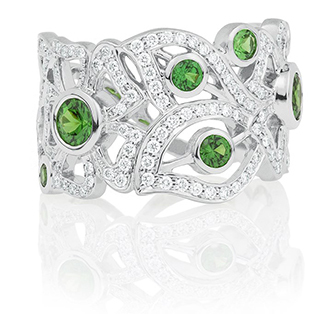 The more you know about metals, the easier it will be to choose the perfect metal for your special piece of jewelry. Eternally white, naturally enduring and 30 times more rare than gold, platinum is ideal for anyone looking for a truly unique and timeless metal. 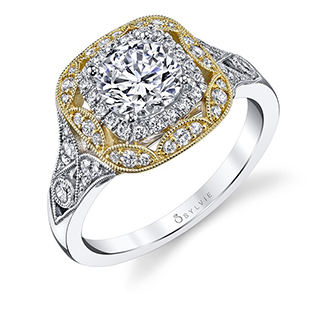 Platinum engagement rings offer the durability and strength to protect your center diamond throughout the years. 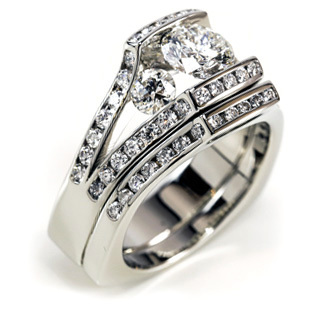 While platinum is similar to white gold in appearance, it is naturally white so it does not need replating. 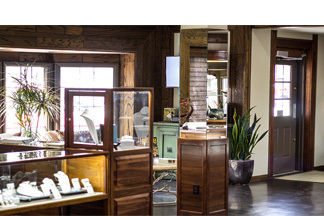 Platinum will retain its shine for generations, allowing your jewelry to become precious family heirlooms. Its non-reactive, hypoallergenic qualities make it an excellent choice of metal for those with skin sensitivity. Over time, platinum develops a stunning finish, or patina, that further protects the setting on a ring. Yellow gold offers a warm glow. Pure gold is too soft to hold its shape in fine jewelry, so it’s alloyed with other precious metals for strength. 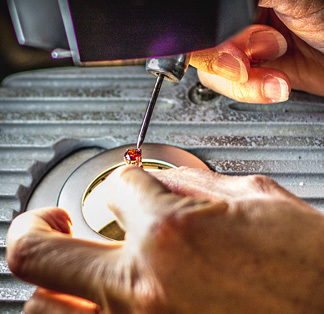 Look for “14k” or “18k” as a fineness mark that proves the quality of your gold jewelry. Among fine metals, gold tends to be more malleable, so prongs in a gold engagement ring should be checked each year. Some people prefer the color of silver to the yellow color of normal gold, yet may find silver to be too soft or easily tarnished, and the cost of platinum prohibitive. While white gold contains varying amounts of gold, which is naturally yellow, it also contains one or more white metals to lighten its color and add strength and durability. Although most people think white gold is a shiny white metal, its color is actually from the rhodium metal plating that is applied to all white gold jewelry. Palladium, being a member of the platinum family, is a naturally white, very lightweight metal that is newer to fine jewelry. It’s a hypoallergenic metal that doesn’t tarnish or require re-plating like white gold. Because it is so lightweight, it is quite comfortable and feels like almost nothing against the skin. Silver can be seen as contemporary or traditional depending on the design. It complements most skin tones, making it a safe and popular purchase. Because pure silver is very soft and malleable, jewelers use sterling silver, which is 92.5% pure silver, mixed with other metals, such as copper, to form an alloy. Since silver can tarnish, gently cleaning it with a polish and cloth will keep it looking immaculate. Cobalt was traditionally used to create wear-resistant and high-strength metal alloys. It is very hard, and more scratch-resistant than other precious metals. It doesn’t oxidize easily, so it will not need re-plating like white gold or polishing like silver. Because of its hypoallergenic qualities, surgical instruments are also made from medical-grade cobalt. It is a beautiful choice as a shiny, white-silver jewelry metal. Unlike other alternative metals, cobalt chrome can be resized. Titanium is a very lightweight, extremely durable and affordable option for jewelry. It is very resistant to bending, cracking and has good scratch resistance. Stone settings in titanium resist loosening and titanium’s high strength allows for innovative and more delicate stone setting than traditional softer jewelry metals. Other metal inlays can be added to titanium jewelry for a distinctive style. Because it is so lightweight it is a popular choice with men who seldom wear jewelry but appreciate the comfort of titanium. Tungsten is a grey-silver colored metal-ceramic that can sometimes be found treated with black coatings for a shiny black look. Tungsten, being a metal-ceramic, has very high hardness and brittleness. It will never scratch, but because it is brittle, if hit hard enough, tungsten will actually break instead of flex. You can’t beat its shine and polish, and it’s hypoallergenic. However, it does not allow stone settings other than a few added-on gold or silver settings. Tungsten and platinum are the heaviest jewelry metals. Carbon fiber is often used in men’s wedding bands and is black in appearance. Black wedding rings are very on-trend right now. Their dark, edgy appearance is highly sought after and offers a more unique, non-traditional look. In addition, wedding bands made with carbon fiber are often very affordable.